Jack is the Head Coach at Amherst Tennis Club and the Director of 6love Tennis Coaching, he joined the team full time in March 2012. He has been an Amherst member for many years, representing the club at junior and senior level. 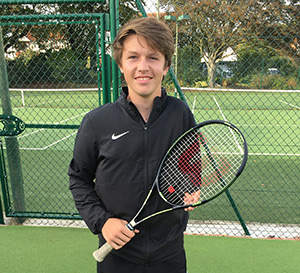 Jack has done a degree in Sports Studies 'with PE' at University of Brighton where he was Tennis Captain. He is currently PTR and LTA qualified and LTA registered. Helen has worked with children for many years. She was manager of the crèche at Maidstone Tennis and Fitness Centre for five years and has coached tennis at Amherst for nine years. Helen is Club coach qualified. 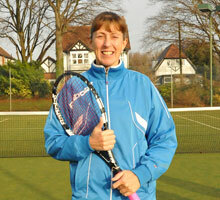 She is LTA Registered and is available for adult and junior coaching. American born Doug worked for 6 years as Head Pro at Four Hills Country Club in Albuquerque New Mexico USA, 2 years as Assistant Coach at the University of New Mexico before moving to the UK and working for 2 years as Pro at Next Generation in York. As a player Doug had a 1.2 rating with wins over former British #7 Tom Spinks in singles and former World #3 Sergio Casals in doubles, and played former World #1 Gustavo Kuerten in singles. He has played for Yorkshire for 10 years and has partnered Wimbledon Doubles Champion Jonny Marray. In USA he was 3 time USTA over 25 National Singles Champion and Ranked #1 in USA over 25 in 1999. Ross joined the coaching team full time in July 2016. 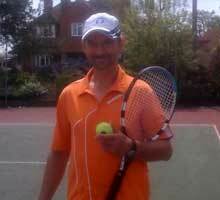 He is a LTA qualified and LTA registered tennis coach, and has been a member of Amherst LTC for the last 5 years. During this time he rose through the clubs academy program and is the 3 times consecutive junior champion. He has also represented club first teams at the junior and senior level on numerous occasions. 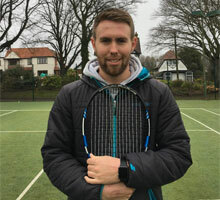 He holds a PE A Level and has plenty of experience teaching not only tennis, but multisport and PE in local primary schools also. Peter began playing tennis at Amherst in 1977. He played for Sussex at junior and senior level, held county titles in men's and mixed doubles and played NJCAA college tennis in Texas. He began coaching at Amherst in 1993. 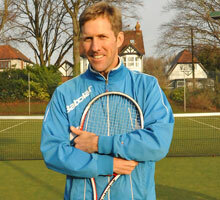 He is a registered LTA Level 4 coach, MTM Professional and a former head coach at Amherst. Peter began to specialise in the psychological side of coaching and performance in 2004, helping to design and run LTA sanctioned Inner Game coach training courses. He is a qualified NLP and Hypnotherapy Trainer and applies all of this knowledge in his coaching.